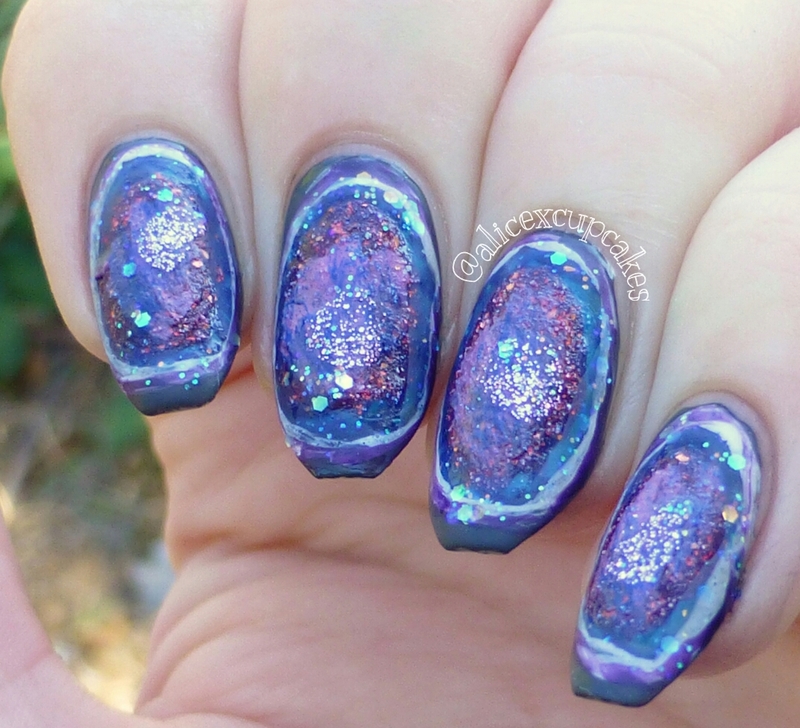 I had a sudden urge to paint geode nails, and I would use textured polishes for the spiky gem encrusted insides, and in my head it sounded awesome and was going to turn out amazing, but in real life it kind of just turned into a glittery purple mess. 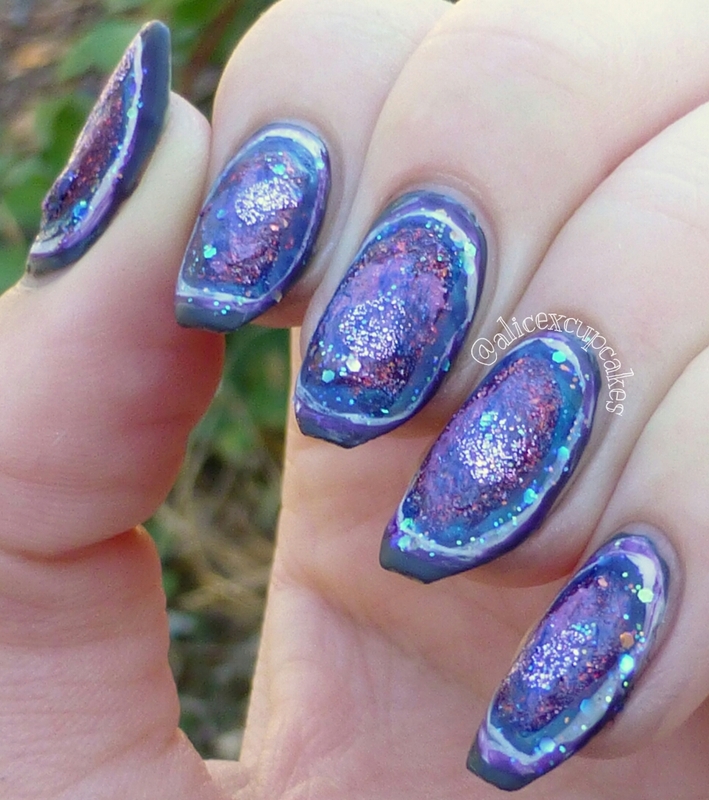 The endeavor started off with a base of e.l.f Thunderstorm because I figured the outside of geodes are usually a muddy grey, (I ended up totally covering the base in everything else…), then in the center of the nails I used 3 or 4 different Sally Hansen Sugar Coats to try to get that crusty textured inside. But for some reason they didn’t dry right, and I never got that textured finish.